Check Out the 2018 Schedule! The 2018 Schedule is out! Click on “Events” and “2018 Schedule”. We’re starting in April this year and running through October. No Alibi is on this year, as is the Raindrop Rally coming up at the end of April. All in all it should be a fun season. We hope to see you out there! We are a week away from the last Friday Nighter of the Season, the October Friday Nighter. 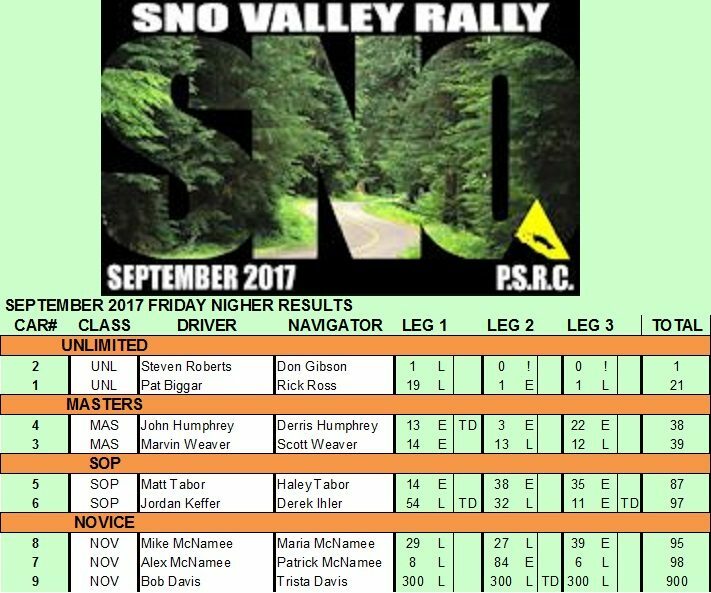 This month, Rainier Auto Sports Club is putting on the event, fresh from their highly successful Nor’wester rally that drew 37 cars for 3 days of rallying. The rallymaster is Steve Richards, who has participated in the rally scene for a very long time. Steve says that the rally is very straight forward, a typical RASC no-trap drive in the woods, or at least as many woods as one can find with paved roads these days. The rally will last about 2 hours and will end at Pizza Hut, 429 128th St SW, Everett, WA 98204. Steve has picked some entertaining roads, and we’ll all have a good time. 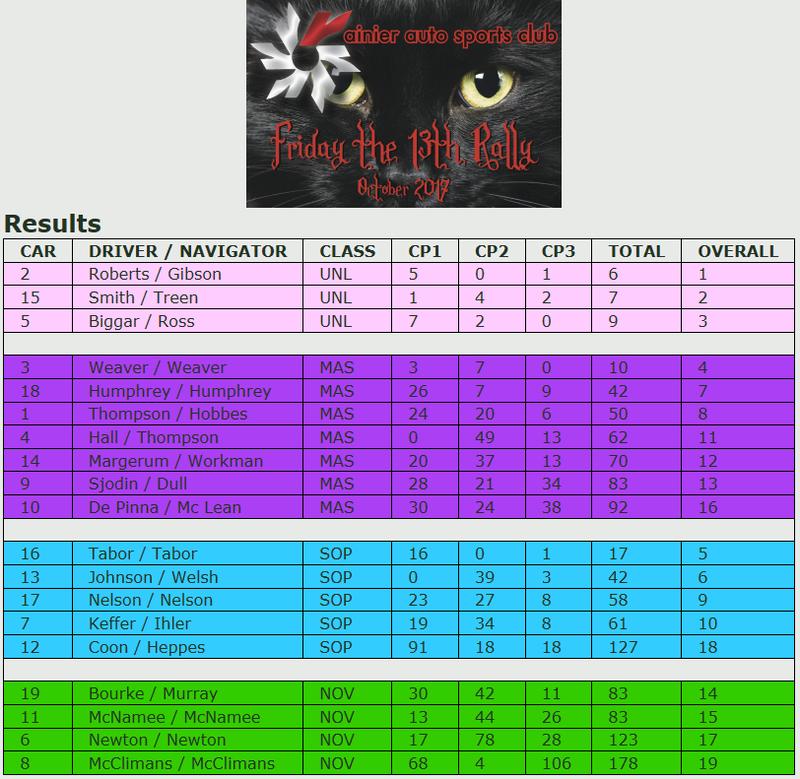 Since it is the last rally of the year, the SOP and Novice Championships will be decided and trophies awarded. The top places are up for grabs, so if you are in the running, don’t miss this event.